California real estate never seizes to amaze. Monetarex has aggregated and reviewed the data on over $36 billion in offerings submitted to the SEC for the real estate industry group as of December 4, 2015. The geographic distribution of recorded capital commitments has not changed much in 2015 with the state of California leading the way. CB Insights recently analyzed the distribution of capital activity across states indicating that California and New York are the top states for the VC funding (https://www.cbinsights.com/blog/new-york-california-massachusetts-funding/). 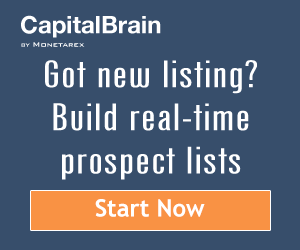 Monetarex data shows similar results in real estate. 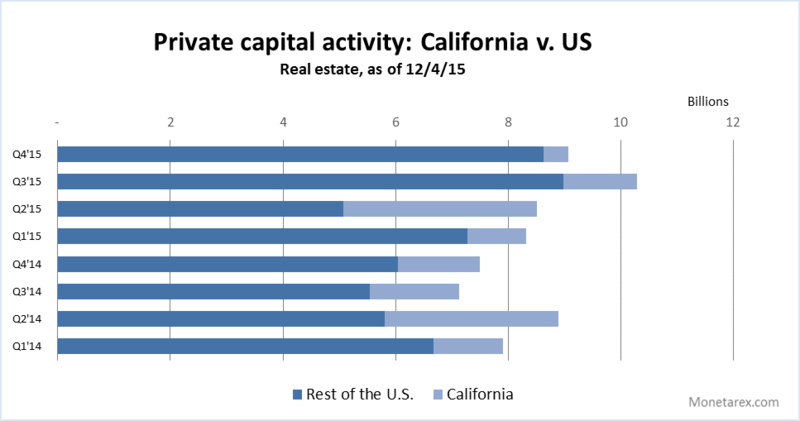 California has been the most active state for the private capital this year both by the amount of deals (495 offerings) and by the total offerings amount (approximately $6.5 billion in private offerings). Although, in 2015 the private capital activity in the state has dropped 15% year over year it still accounts for the impressive 17% of the total activity throughout the year. New York was the second most active state with 14% of the market share. Georgia, Florida, and Illinois rounded up the Top 5 most active states list in the private capital activity in 2015. 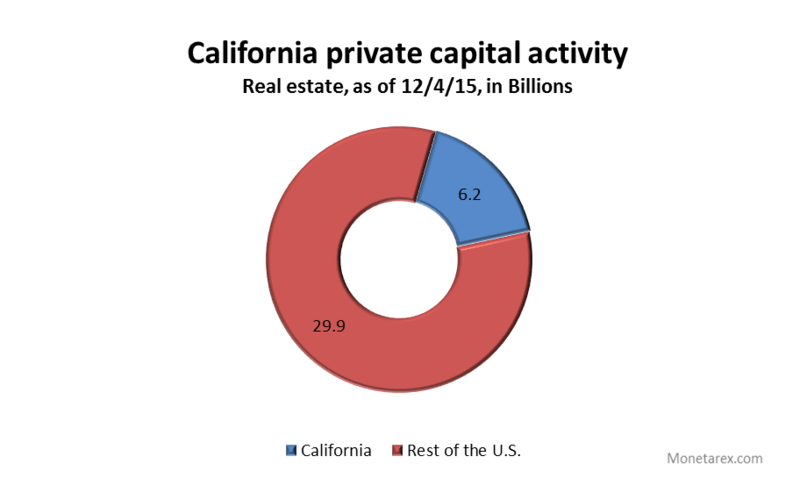 The data shows that investors still believe that California with a considerable supply-demand imbalance and a booming tech scene is one of the best bets for private real estate investment today. However, there are certainly trends that could indicate overheated market preparing to cool off. Although, it accounts for impressive 17% of total activity but in the top 5 it’s the only state that saw a noticeable decrease in the market share (6% year over year decrease). When the rest of the country experienced a 24% increase in the total issuance, California had a 15% drop in private offerings. The average deal size also dropped (17% year over year decrease). The behavior of this small sampling of about 500 private offerings from the largest real estate market in the country can be an indicator of what we can expect from the commercial real estate market in the coming months. Looking for resources to help you find private commercial real estate investors? Sign up for a free trial to access the data as well as in-depth real-time profiles of private companies and their investment activity.